In our continuous effort to provide the best in orthodontic treatment for our patients, we are proud to offer the Propel Excellerator™ Series technology, a line of advanced orthodontic devices that work with your braces or aligners! 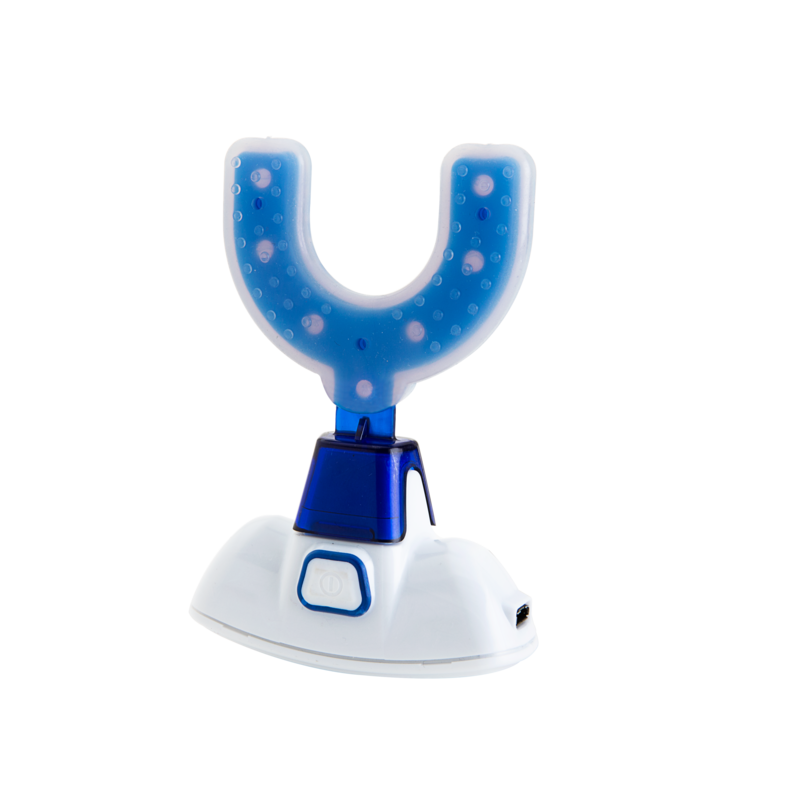 Used for just 5 minutes per day, the VPro5™ helps ensure that your clear aligners are fully seated. The Excellerator™ Series drivers are easy to use, chairside devices. Our Heritage Family Dental team can complete your Propel treatment in a matter of minutes during a regularly scheduled appointment and have you back to your busy schedule in no time. · Utilize the VPro5™ for just 5 minutes a day. 1. Connect the mouthpiece to the oscillator. 2. Confirm that the device feels secure and stable. 3. Depress (apply firm pressure) the white on-switch on the oscillator to activate vibration function. A blue light will illuminate. Device will slowly ramp up to full vibration. 4. While wearing your aligners, bite down on the mouthpiece and begin vibration therapy. 5. The device will function for 5 minutes per use and will automatically shut-off after the duration of treatment. 6. LED Notification Light blinks green 3 times to indicate cycle is complete. After use, clean and charge device as needed. What are you waiting for? Ask us if treatment with the Excellerator™ Series is right for you and receive a complimentary consultation.